As well as writing his own material he also translated ancient texts, especially from the Renaissance period. He was aided in the harmonisation of songs by a composer called Charles Wood. He was born on the 27th December 1848 in the town of Birkenhead which lies on the River Mersey in the north west of England. His education was provided much further south though, beginning at Elstree, Hertfordshire and then the famous Harrow public school. From here he won a Scholarship which enabled him to attend college in Cambridge. He read the Classics at Cambridge, and graduated in 1872 with a third class honours degree in the Classics. While having talent as a writer Woodward saw his future in the church rather than following a literary career. In 1874, just before his 26th birthday, he was made a deacon. He took up an assistant curate position in St Barnabas church in Pimlico. He remained in London for a further eight years before moving to Norfolk, initially to the small village of Little Walsingham. His musical talent stood him in good stead and he was often to be seen marching on church processions playing the euphonium. The picture at the beginning of this article shows him playing that instrument outside the vicarage at Walsingham. He was also an accomplished cellist. the following year. He was also an enthusiastic campanologist and he kept bees at his vicarage. In 1888 he crossed the border into Suffolk to take up a post at another parish, this one being another small village called Chelmondiston which is close to Ipswich. Here he met and married his wife Alice but this was to last only five years as she died in 1893.
which appeared in two separate parts (1901 and 1919). 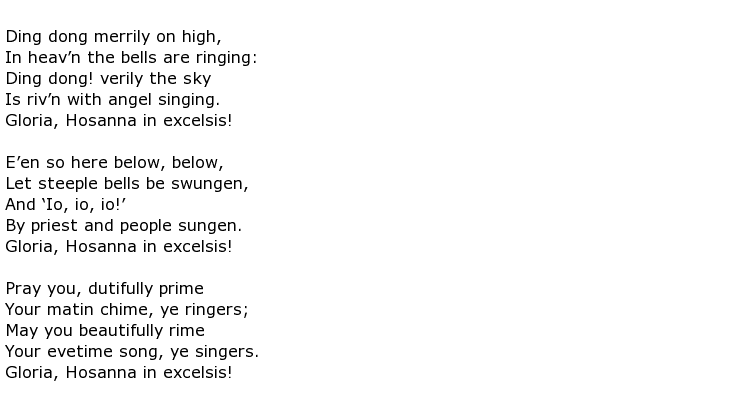 This rousing song is still popular in churches and schools all over the world and is always sung with great gusto. It is the kind of song that encourages the singer to put great energy into the words, glorifying God as they sing it. George Ratcliffe Woodward’s long life came to an end on the 3rd March 1934, at the age of 85.